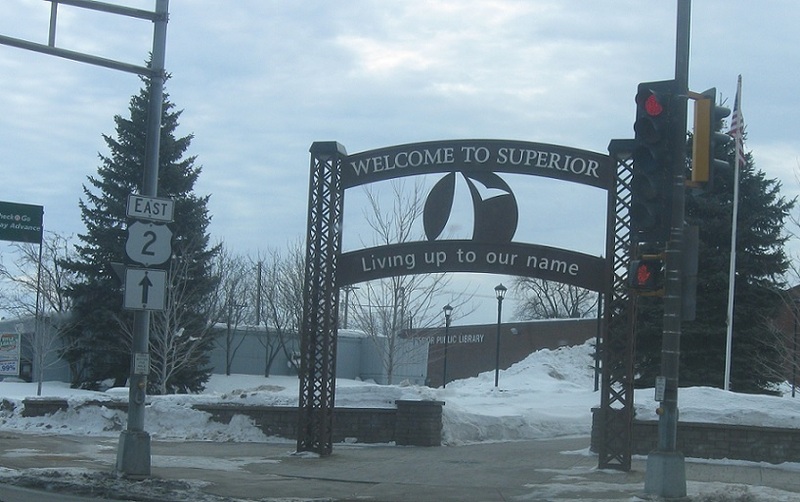 As we enter Superior, turn right for a truck route. 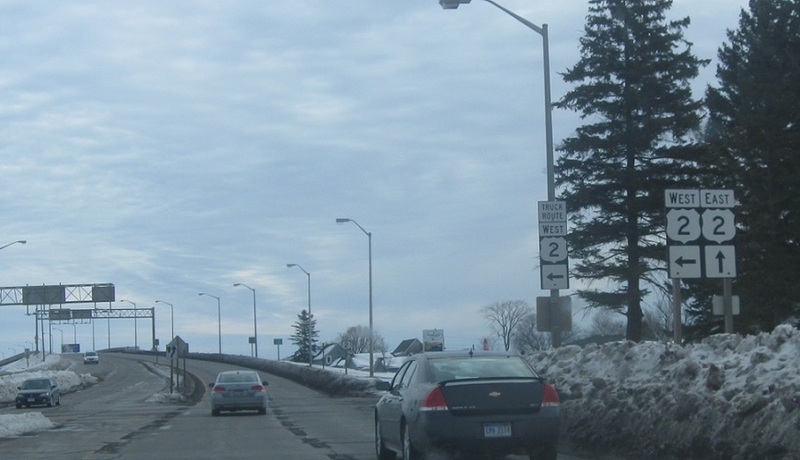 Turn left for US 2 east. 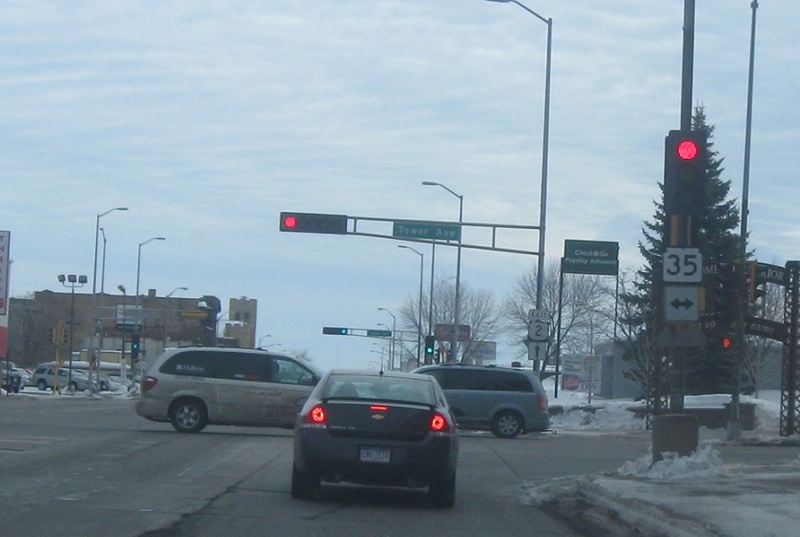 Turn left at the light to stay on US-2 east. 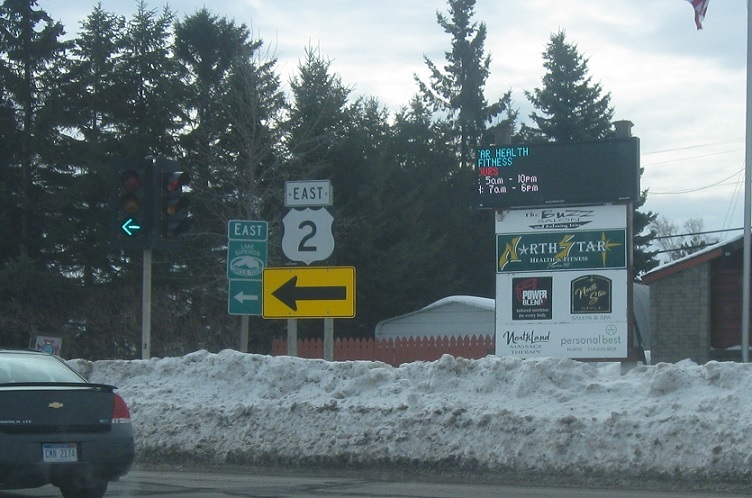 After the turn, turn left to get back onto US 2 west. 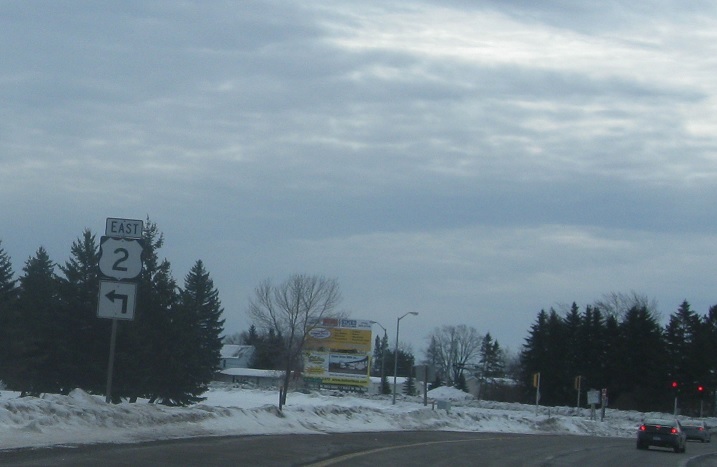 Reassurance shield as we pass the divided highway back to Minnesota. 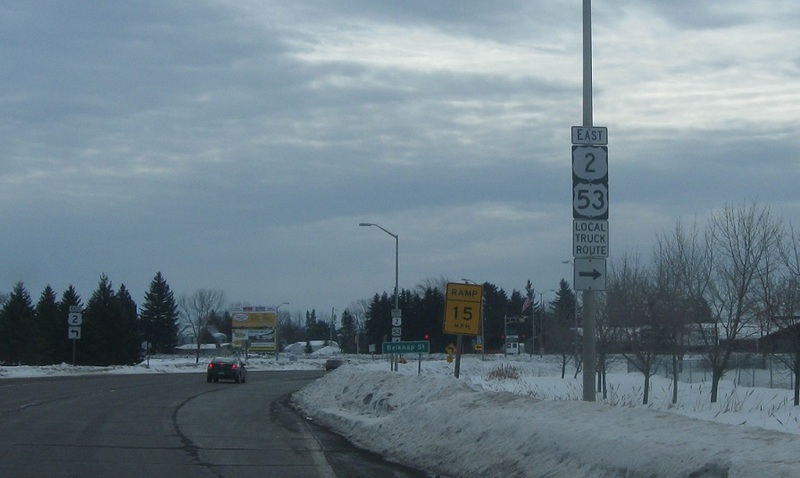 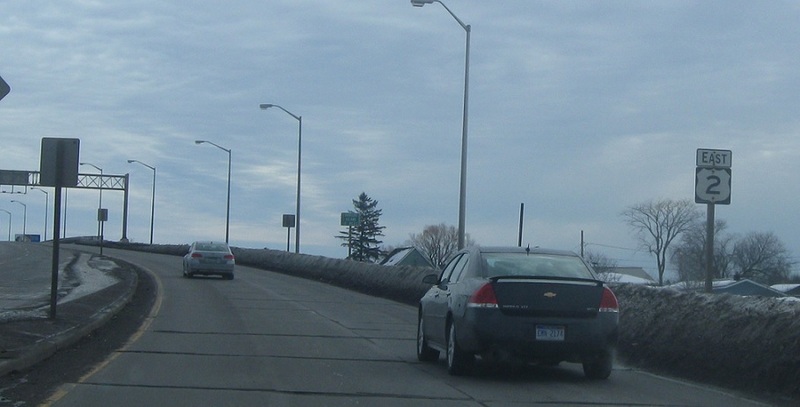 As we enter downtown Superior, turn left or right for Wisconsin 35. 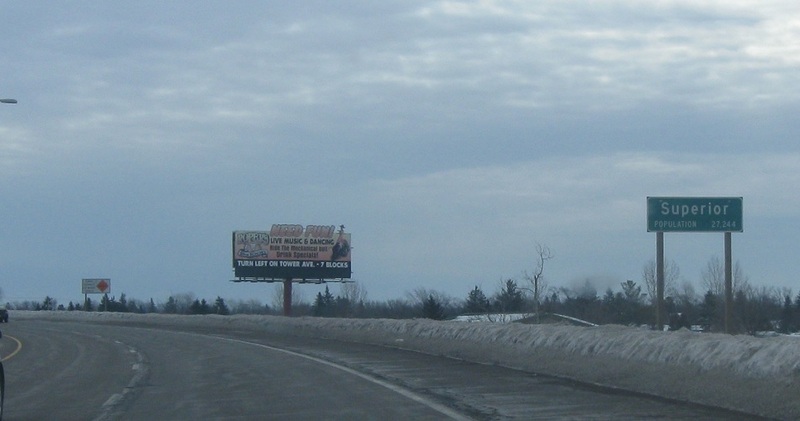 Stay straight for US 2 east.